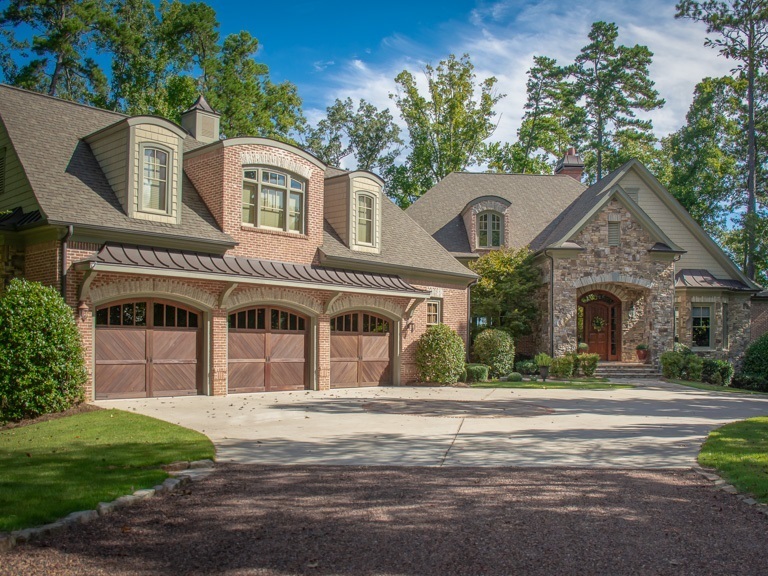 Completed in 2009, the painstaking attention to detail is evident in this lake home in Reynolds Lake Oconee. 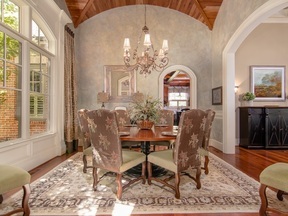 Very private lakeside living on beautifully wooded, gently sloping lot to deep water frontage with island view and undeveloped shoreline across lake--a unique setting on the Richland Creek side of Lake Oconee, minutes from The Ritz. The main level features American Cherry hardwood floors with extensive trim and millwork, as well as widespread use of high-end quartz, marble, granite and stone work throughout home. 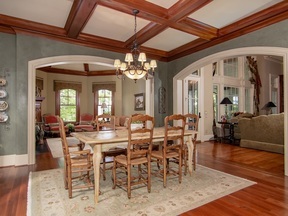 Custom faux painting in dining room, kitchen and office. 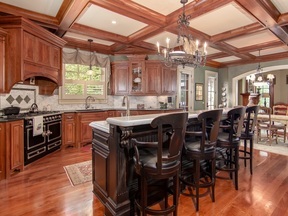 Custom distressed cherry cabinetry. Brazilian Cherry front door leads to foyer entry and the rather open living room and dining room with barrel ceiling. Living room has high ceiling and large window overlooking lake. Beautiful wood paneled office off foyer. The gourmet kitchen/keeping room has coffered ceiling and high-end appliances including La Cornue range, Miele dishwasher, warming drawer and microwave, Subzero refrigerator with 2 freezer drawers, 2 Subzero refrigerator drawers and a built-in countertop Gaggeneau steamer. Keeping room has fireplace and lake view. Large vaulted ceiling covered porch on back of home is supplemented by the screened porch with fireplace and grill deck off keeping room. Master suite has access to porch and bath is exquisitely appointed with Jacuzzi tub and separate shower. Full mother-in-law apartment over garage with kitchenette and bath. Lower level has large family room with fireplace and spacious, well-appointed wet bar. 3 large bedrooms and 2 expansive baths complete the lower level. Large firepit and hot tub make outdoor living a dream. Seller is making a Club membership available.